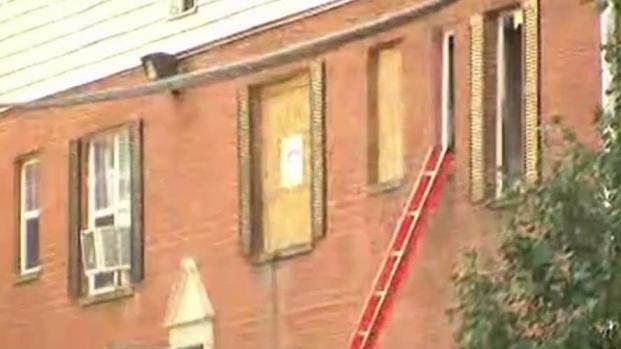 A man accused of setting his pregnant girlfriend on fire had been accepted to be a D.C. firefighter. A judge ordered Wednesday that 34-year-old Laquinn Phillips, of Southeast D.C., be held without bond. Phillips has been charged with attempted first- and second-degree murder, arson, assault and several related charges, police said. On Sept. 6, Prince George's County police officers and firefighters found Andrea Grinage with critical burns on a large part of her body while responding to a fire at her Capitol Heights apartment. Grinage told police Phillips doused her with a flammable liquid inside her apartment and set her on fire. She also told police that he may have been on his way to D.C. to possibly harm one of her relatives, Prince George's County police spokeswoman Jennifer Donelan said at a news conference last week. A man set a pregnant woman on fire in Columbia Heights, Maryland, police say. The woman is in critical condition after giving birth to her baby at a hospital. News4's Shomari Stone reports. Phillips cried as he listened to the charges against him in court Wednesday. Phillips' family said he was incapable of doing such a crime. Phillips, who has no prior convictions, is a personal trainer who runs a boot camp and was recently accepted to be a firefighter with the D.C. Fire Department. His future with the department is pending the outcome of the case. 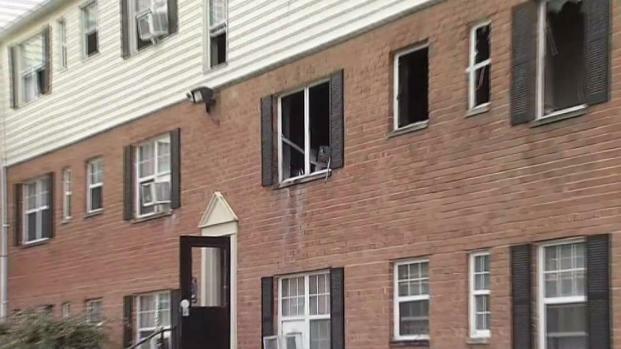 A man set a pregnant woman on fire inside the woman's apartment in Capitol Heights, Maryland, police say. News4's Shomari Stone reports. "We’ve seen it enough to know, again, that even a person who has never been involved will make an irrational decision based on a temporary emotion," Prince George's County State's Attorney Angela Alsobrooks said. Aslobrooks said Phillips could also face charges for the attempted murder of the unborn child who was prematurely delivered after the alleged attack. The baby girl was named Journey Aaliyah Grinage. Phillip's attorney, Wyndal Gordon, said his client is not guilty. "The timeline is inconsistent with the evidence that we’ve been able to uncover thus far. So, we don’t know what’s going on," Gordon said.